There are currently 30,407 users on this website. 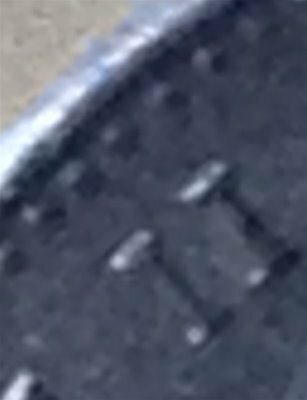 Picture out of focus but looks like small bead. 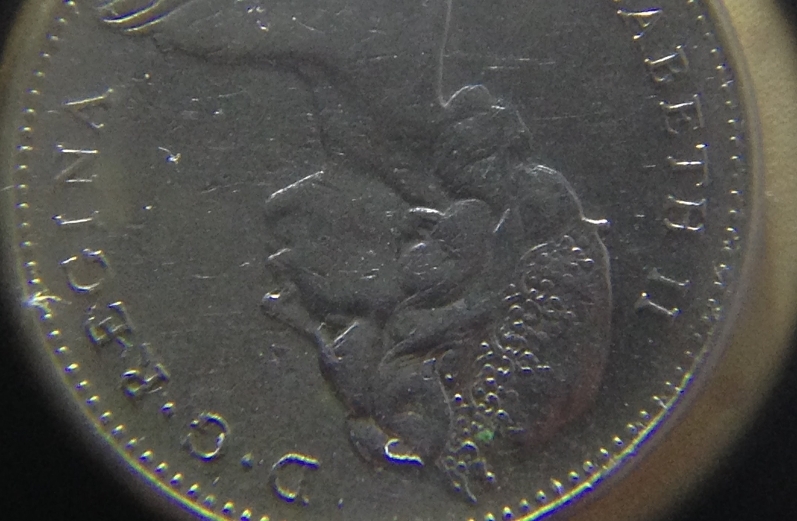 Please show photo of complete obverse. Always show a picture of the complete coin when submitting a question. The reason is that with varieties, there are usually other markers. a Small Bead. If the jewel was detached, it would be a Large Bead. Please orient your pics correctly for better feedback. If the jewel was detached, it would be a Large Bead. I thought there was a large bead with the jewel attached? 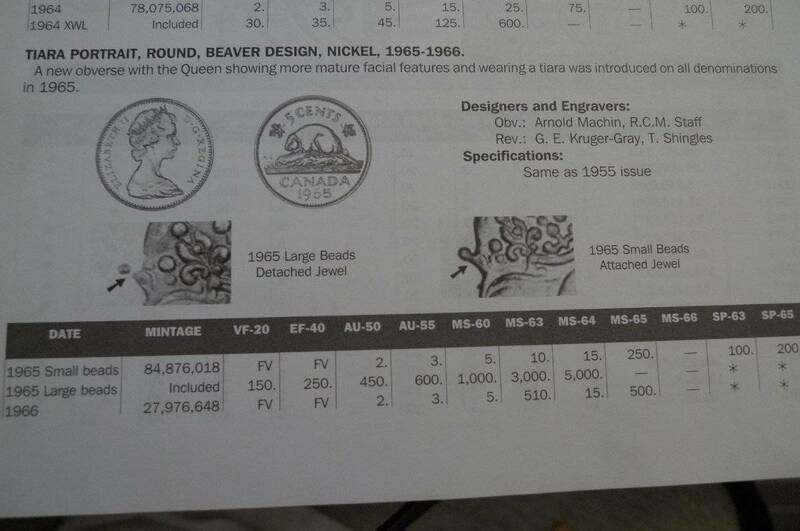 "It also means the popular term; Large Beads/Detached jewel is now invalid since the term "detached jewel" is only a diagnostic to the later, perhaps less-desirable, stages of the same variety." 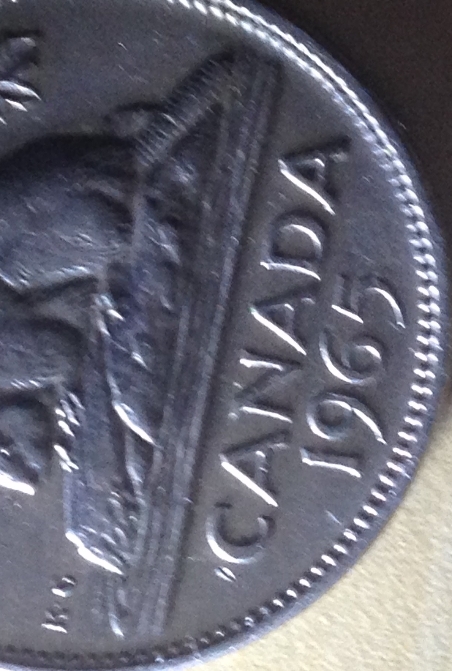 I got a 65 in my change yesterday.. spent an hour trying to figure out if it was a small or large bead coin lol... Unfortunately, just a small bead..
Not always the case, and not an accurate diagnostic marker. 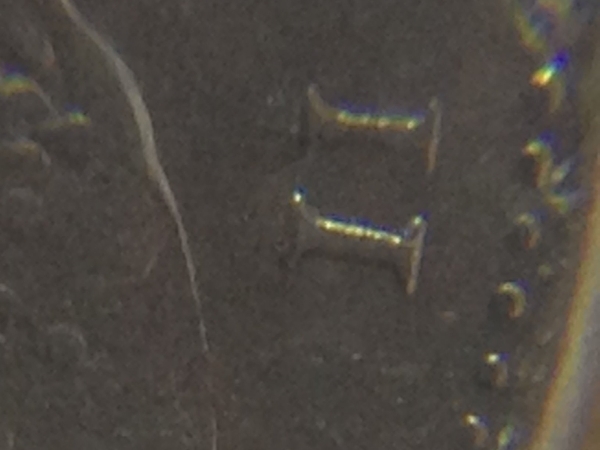 Look for the alignment of the beads with II of ELIZABETH II - large beads line up with the II.